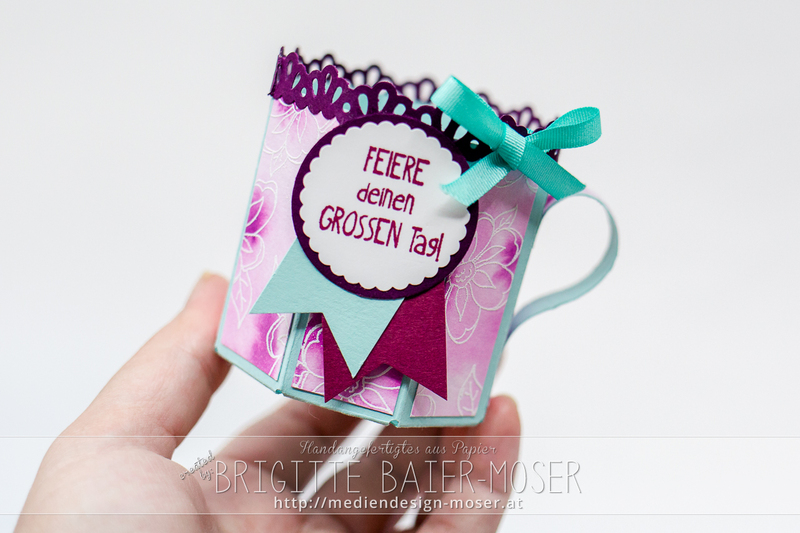 Blog Hop, colour combo blog hop, craft instructions, craft manual, cup, giftbag punchboard, stampin'up! 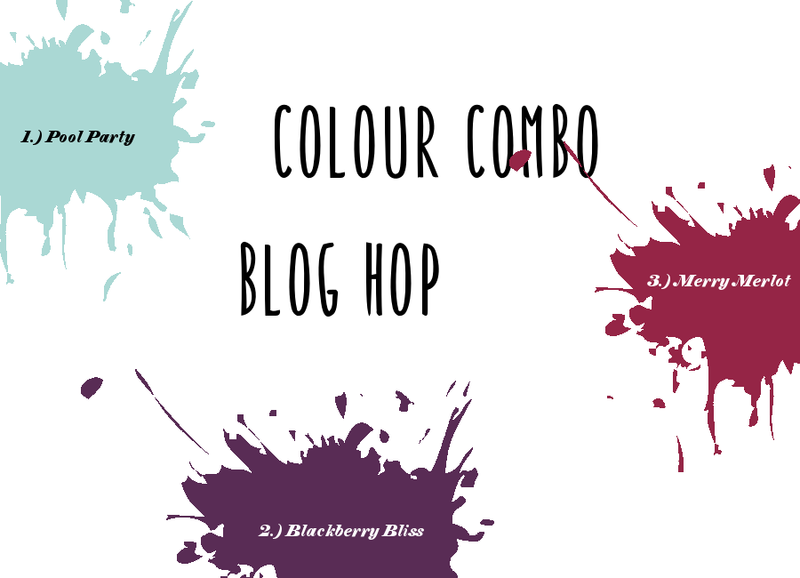 Today our current Colour Combo BlogHop is happening! 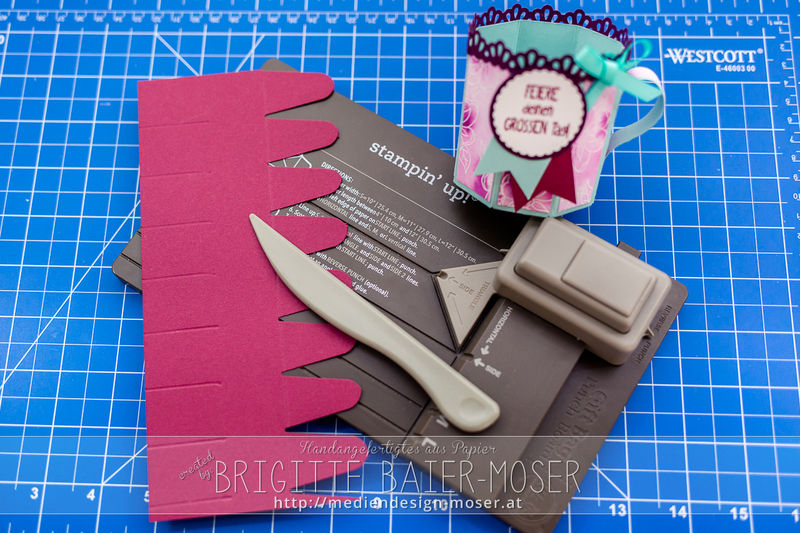 The colors that we should use are the Stampin’Up! colors Pool Party, Merry Merlot and Blackberry Bliss. 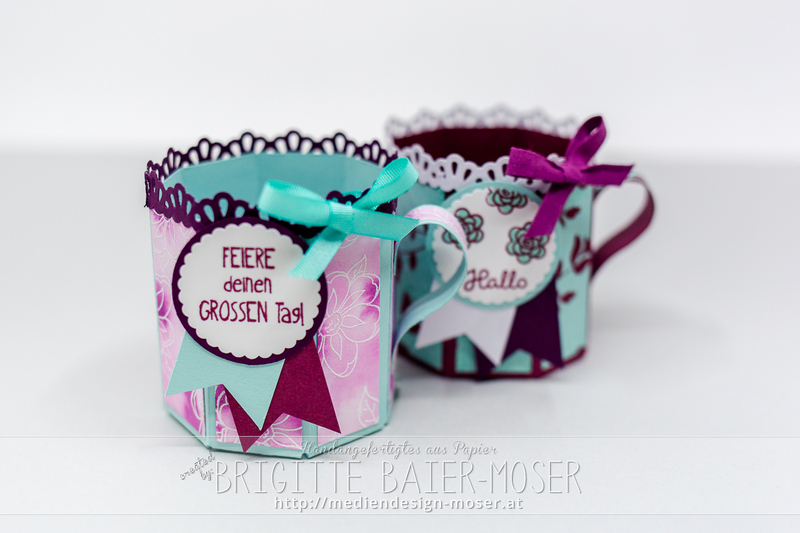 I decided to create some cups with my Giftbag Punchboard for this BlogHop. I developed again a craft manual for this project – the craft sheet with the dimensions (in inches or in centimeters) you find here in my online-shop for free. I’m sure this cups are a great packaging idea for cupcakes. But even with some dried flowers they would look great. 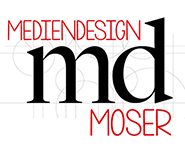 And now I can’t wait to see what Tanja Klingler-Selinger will share with us. 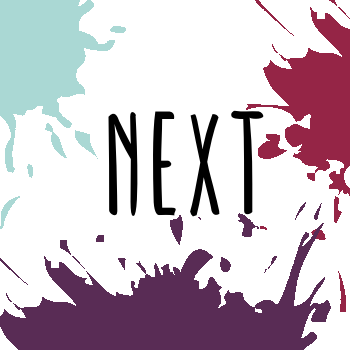 Please click the next-button below to visit her blog.